Around 300million people are celebrating Nowruz, the 3000-old festival worldwide on March 21, 2019. Yes, Nowruz falls on the same day as Holi, the Hindu spring festival this year. Nowruz also called Jamshedi Navroz in India, originated in ancient Persia (Iran) and is celebrated in 17 countries, each in their own way. But one thing common is exchanging good wishes to friends and family. Yes, it’s the time to wish Nowruz Mubarak or Happy Persian New Year or Happy Iranian New Year to all our brothers and sisters observing this festival. 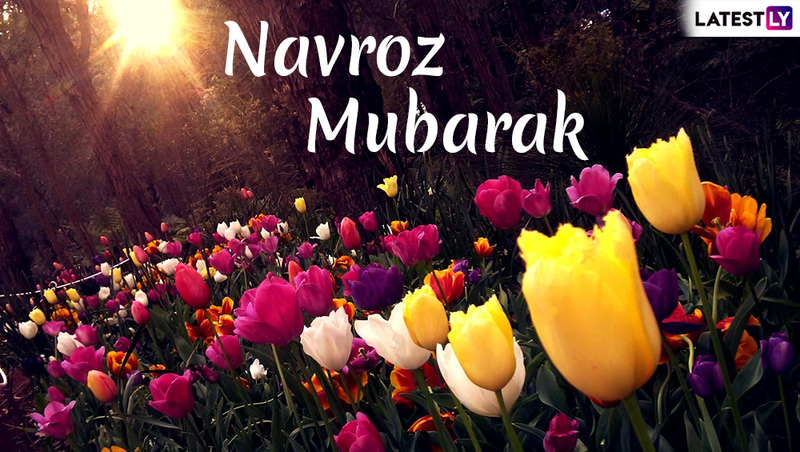 Beautiful photos of blooming flowers with Nowruz Mubarak, special Nowruz WhatsApp Stickers, Nowruz wishes and quotes along with Jamshedi Navroz greetings and messages are all presented below. 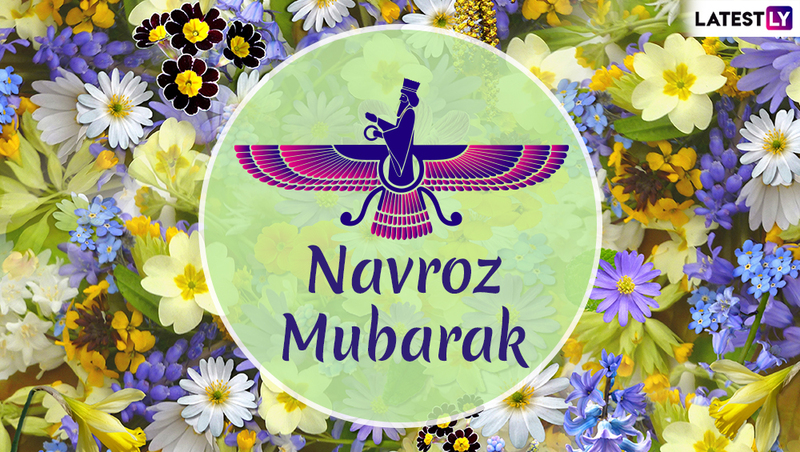 Nowruz Mubarak 2019 Greetings: WhatsApp Stickers, GIF Images, Quotes and Messages to Wish Happy Parsi New Year. There are so many names by which Nowruz is addressed. Some of them such as Navroz, Nowrouz, Nooruz, Navruz, Nauroz or Nevruz is inscribed in the list of UNESCO Intangible Cultural Heritage of Humanity of India. International Nowruz Day was proclaimed by the United Nations General Assembly, in its resolution A/RES/64/253 of 2010, at the initiative of several countries that share this holiday. These nations are - Afghanistan, Albania, Azerbaijan, the Former Yugoslav Republic of Macedonia, India, Iran (Islamic Republic of), Kazakhstan, Kyrgyzstan, Tajikistan, Turkey and Turkmenistan. Also, March 21 is believed to be the beginning of spring and the day of equinox. Nowruz 2019: Google Celebrates Parsi New Year With a 'Spring' Doodle. Despite its Iranian and Zoroastrian origins (Nowruz translates to "new day" in Persian), it is celebrated by diverse communities. It is the Iranian New Year, also known as the Persian New Year. One of the important part of celebrations is Haft-Sin (also called Haft Seen) and its seven items all starting with letter ‘s’. They are - Sabzeh (wheat, barley, mung bean, or lentil sprouts, representing rebirth); Samanu (sweet pudding, representing wealth); Senjed (Persian dried fruit, representing love); Serkeh (vinegar, representing aging and patience); Seeb (apple, representing beauty); Seer (garlic, representing medicine) and Somāq (sumac, representing the horizon). Growing wheatgrass is another most common traditional preparations for Nowruz. Nowruz 2019: What Is Haft Sin? 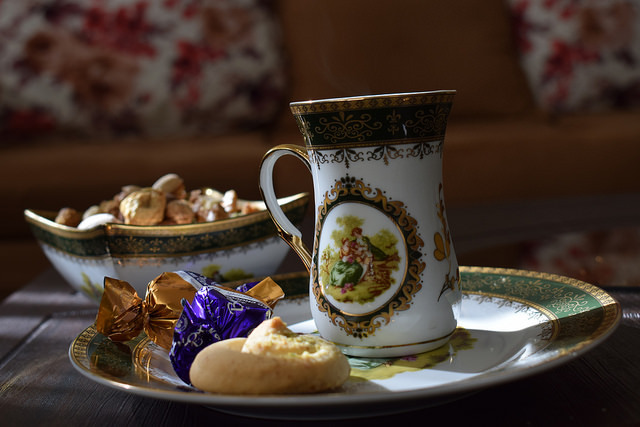 Reasons Why Parsis Display Seven Items on Persian New Year or Jamshedi Navroz. All of these elements are what you will see in greetings and messages. 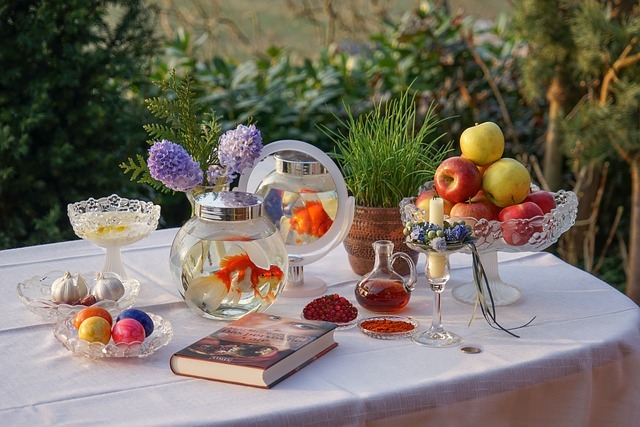 You will see pictures of blooming flowers, wheatgrass, images of Sassanian King Jamshed, who proclaimed the day as the start of the ancient Persian Calendar, Haft-sin photos used to greet Nowruz Mubarak. You will find Nowruz Mubarak, Nowruz Mubarak wishes, Nowruz Mubarak messages, Nowruz Mubarak meaning, Nowruz Mubarak quotes, Nowruz Mubarak GIF, Nowruz Mubarak cards, Nowruz Mubarak 2019, Nowruz Mubarak, Nowruz greetings Farsi, Nowruz greetings in English, Nowruz greetings text, Nowruz greetings cards, and more. 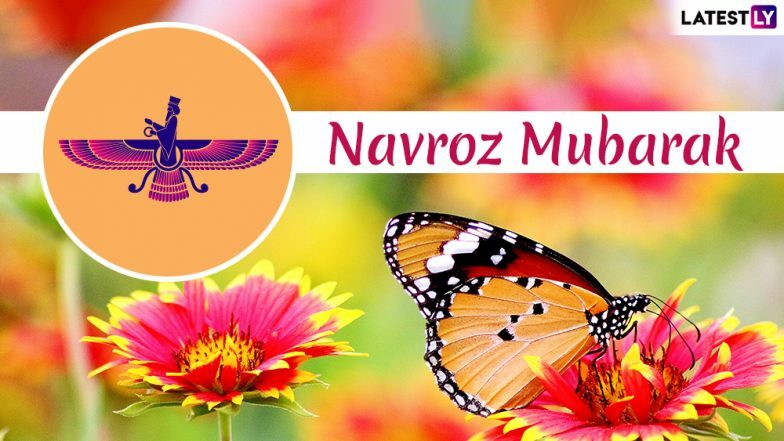 Nowruz (Jamshedi Navroz) 2019: Significance, History and Celebrations Around Parsi New Year. WhatsApp Message Reads: May Every Day of the New Year Glow With New Cheer and Happiness for You and Your Family. Nowruz Mubarak! WhatsApp Message Reads: Hope This Nowruz Brings Lots of Love & Warmth for You and Your Loved Ones… Do Not Hate Anyone As We Have Got the Life to Love and Not to Hate Others. Happy Nowruz! WhatsApp Message Reads: Hope This Nowruz Brings Lots of Love and Warmth for You and Your Loved Ones…Do Not Hate Anyone As We Have Got the Life to Love and Not to Hate Others. Happy Nowruz! WhatsApp Message Reads: May You Achieve Success in Every Facets of Life, And All Your Heartfelt Wishes Comes True, Wishing You a Happy New Year of Happiness & Prosperity, Navroz Mubarak. WhatsApp Message Reads: May the Glory of King Spread All Over, May Lord Praise Us in Galore, Let’s Pray for Happiness and Prosperity…May This Parsi New Year Give Us Happiness. 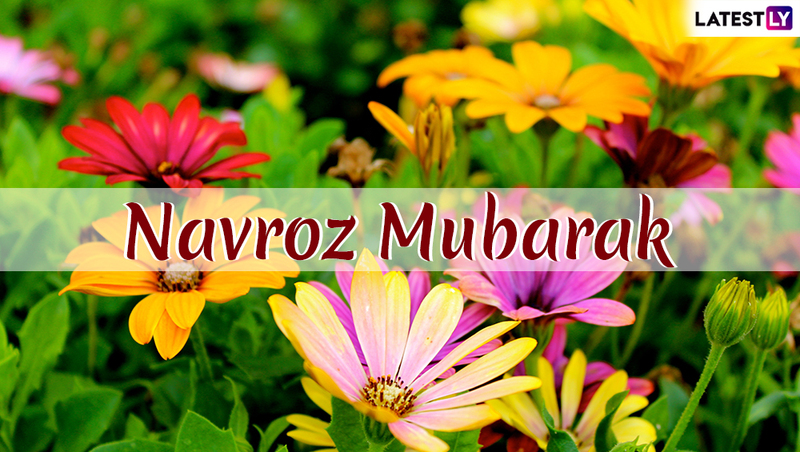 Happy Navroz. WhatsApp Message Reads: May the Coming Year Take You on the Path to Glory Where All Your Endeavors Become Glorious and Your Life Becomes a Success Story. Happy Nowruz! WhatsApp Message Reads: Nights are Dark but Days are Light, Wish your Life will always be Bright. So my Dear don’t get Fear Because, God Gift us a Brand New Year. Navroz Mubarak. Nowruz "promotes values of peace and solidarity between generations and within families," the United Nations says. It's a time of reconciliation and neighbourliness, "contributing to cultural diversity and friendship among peoples and different communities." 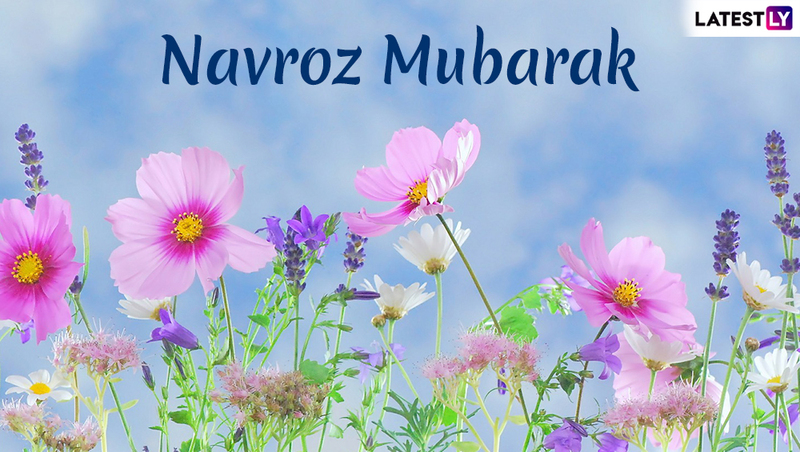 We wish everyone observing this beautiful festival, Nowruz Mubarak.